When Mim Malone is called to the principal’s office she overhears a conversation she shouldn’t and it explains why she hasn’t heard from her Mum lately. Mim’s Mum is ill, and seriously by the sounds of what she heard. In shock and fear, she runs from the school and makes a life-changing decision. She needs to get from her new home with her dad and stepmom in Mississippi, travel approximately 900 miles back to Cleveland and do it as quickly as possible. She gets together all the cash she can and then hops aboard the first Greyhound bus heading in the right direction. Armed with a handful of cash, her meds and her war paint she heads off to be at her mother’s side. On her journey, she meets people both kind and evil, weird and wonderful and even survives a crash…and that’s just the beginning. Oh Mim, how do I love thee? Let me count the ways. Mim is possibly one of the most lovable YA characters I’ve ever had the pleasure of reading. She’s not perfect – physically or emotionally, she’s damaged – but that’s not the point of her, she has unusual coping mechanisms and tries to see the good in everyone…until they hurt her (or marry her father of course). She’s a young girl trying to do good in a world where she’s been told her uniqueness is dangerous and you cannot help but fall head over heels for her. This is The Unlikely Pilgrimage of Harold Fry for the YA scene. 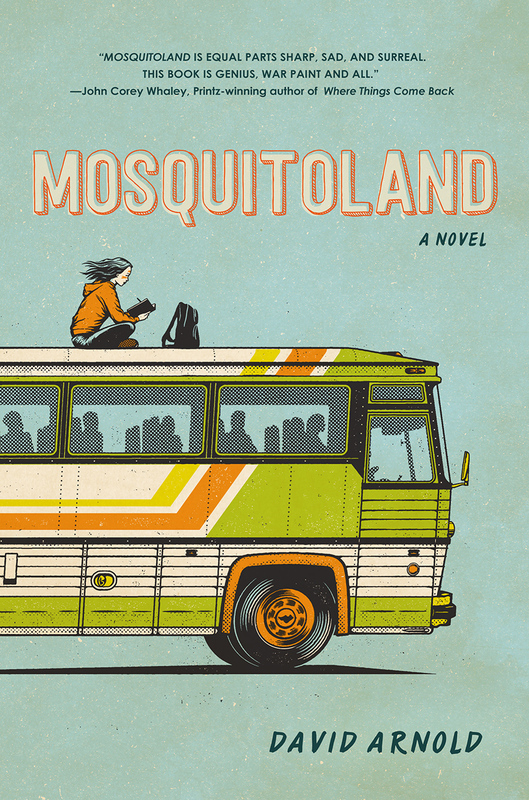 Mosquitoland is fun, touching and simply a joy to read and I can’t help but hope I’ll hear more from the wonderfully unique voice of Mim as this is definitely one of the best YA novels of 2015.